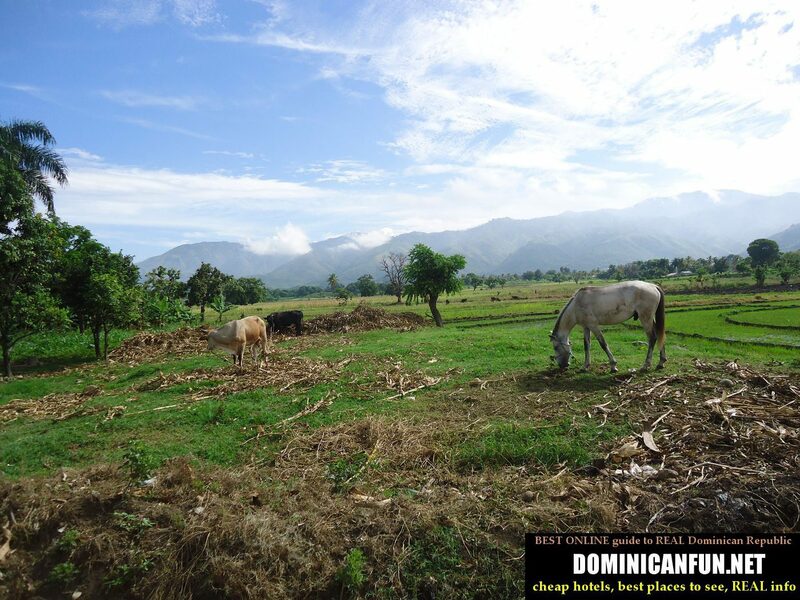 San Juan de La Maguana is situated in dominican mountains, in the middle - west of the country, not so far away from border with Haiti. Before my old school motorbike led me there, I was expecting typical Dominican city near the Haitian border - which means poor and once again - poor. And what a surprise I had when I saw San Juan de La Maguana for the first time! "So finally I came to San Juan de La Maguana. The city at the first sight appears to be [...read the full article here, 90 % of content inside...] "
Bear in mind that the distance to Sabaneta from San Juan de La Maguana on the map is only 25 km - but the road is in quite bad condition (more potholes than asphalt actually), so for getting there you must count at least 45 minutes.Around the road there are many picturesque fields surrounded by mountains - also beautiful landscape worth viewing. Beautiful landscape around San Juan. Somewhere, on the horizon - highest mountain peak in Dominican Republic - Pico Duarte. 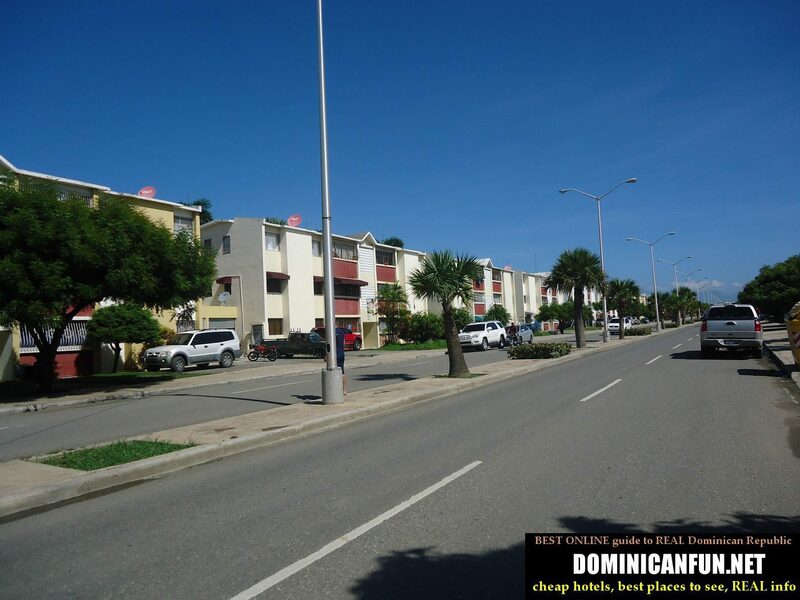 The road Azua - San Juan is of great quality (recently build), almost without potholes and with new asphalt. 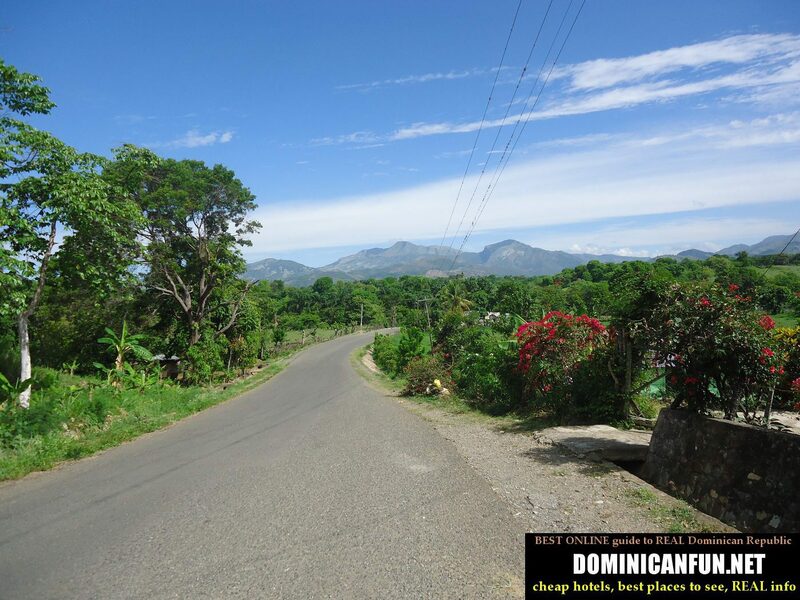 The road San Juan - Sabaneta (to the Sabaneta lake) is unfortunately much worse (typical village road in Dominican Republic - lots of potholes), so take caution while driving there. The other road - that connects San Juan de La Maguana with Haitian border - is probably of good quality. I never drove there, but these are my feelings /prognosis ;-), based on typical quality of such roads in DR (from bigger, rich city, to other major point - border point).